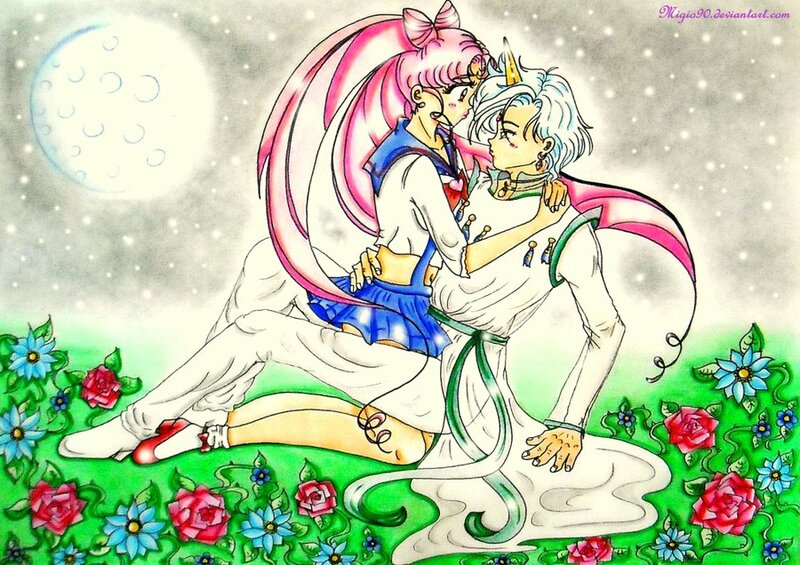 Helios and Chibiusa. . HD Wallpaper and background images in the Sailor Mini moon (Rini) club tagged: chibiusa sailor chibi moon rini sailor mini moon princess sailor moon mini prinncess manga usagi helios. This Sailor Mini moon (Rini) fan art contains anime, grappig boek, manga, cartoon, and stripboek.